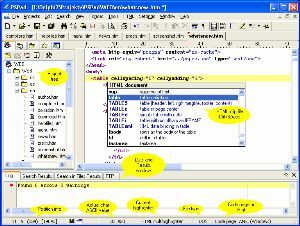 PSPad is a full featured text editor that can do a variety of things. From highlighting syntax for source code, allowing multiple user extensions, and cut and paste functionality, to rich text formatting functions and the ability to upload via FTP. So many gimmicks that you’ll forget it’s a text editor! It even allows you to restore work and bookmark your work so that you have multiple versions. That’s pretty sweet.